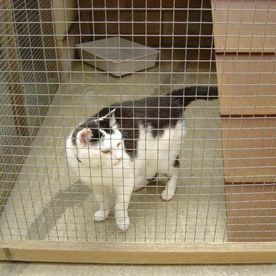 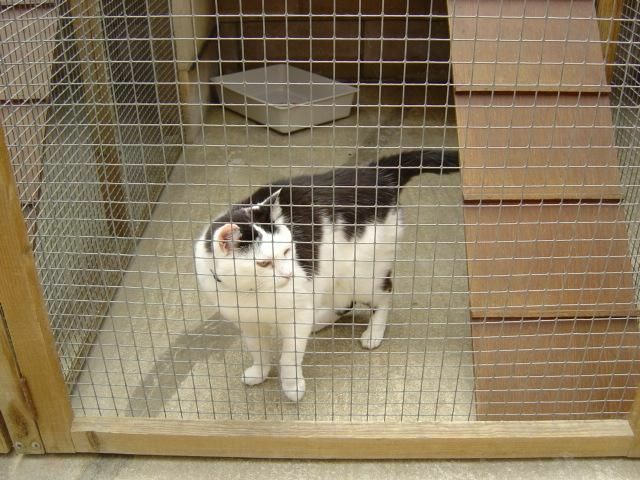 Our cattery consists of 20 heated units, set well apart from the kennels. 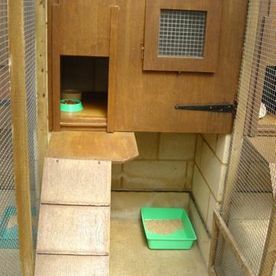 Each unit is capable of accommodating two cats from the same family, providing spacious accommodation with ramps leading to the cat house, which is fully enclosed with a window & cat flap. 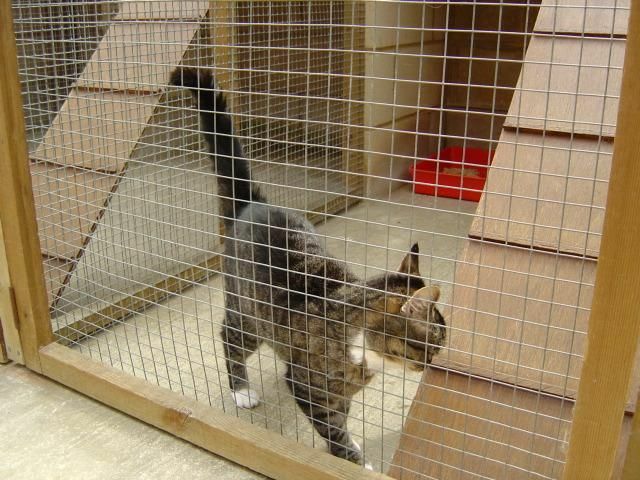 Within the cattery, we have 4 double interlinking units that provide the facility to board up to 6 guests (from the same family) at one time. 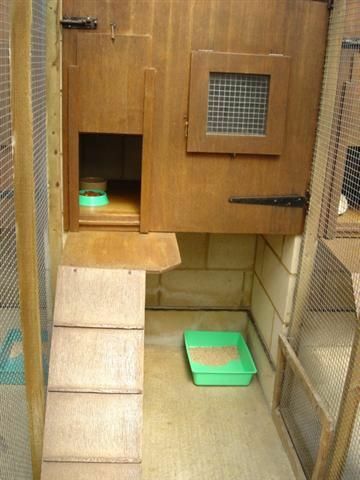 Should you wish to bring your pets own bedding & toys you are most welcome to do so. 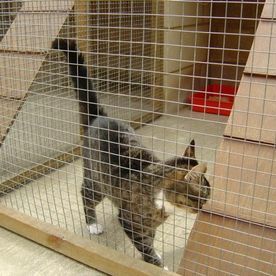 We require all our guests to be fully inoculated and have the necessary annual booster injections against Feline Infectious Enteritis and Cat Flu; all must be administered at least 7 days prior to boarding. 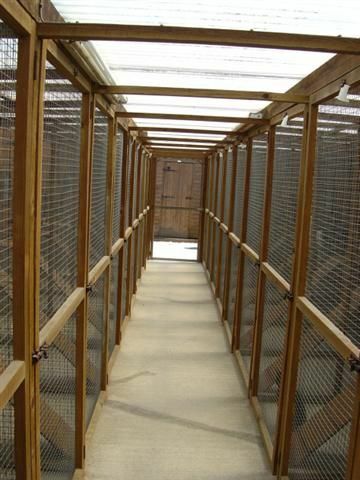 We provide our guests with individual meals prepared & served for each guest's specific requirements, except those on prescription diet from the vet. 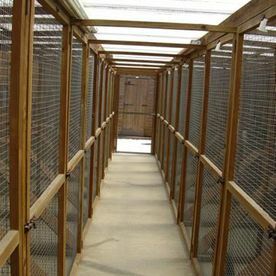 The owner must provide these. 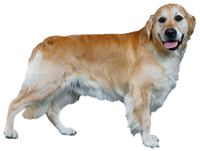 All forms of medication can be administered and must be provided with specific instructions by the owner.